Top Tricks to Back Comb Your Hair Right! Don’t we all love to experiment with our hair? I am very selective in this matter considering the thin texture of my hair. Teasing is one great trick which adds a little volume to my hair. But, there are few things we should be careful about while teasing our hair, so it doesn’t damage our beautiful locks. Just few simple tricks can safeguard your hair from looking untidy while adding some elevation to the hair. But, how we do these steps make all the difference. • Partition the hair into 1 to 2 inch sections and work on sections one by one. The size of the sections may vary, depending upon the kind of look you wish to create. For a fitted, tease look, take smaller sections while slightly thick sections will do well for loosely teased look. • Now, grasp the segment of hair straight up from the root. Insert your comb straight inside the hair section and start combing downward. • Repeat this for both flanks of your head. • Try to keep the strokes very short and even. • I am not very comfortable with using hair spray on regular basis. I feel it should be limited to special occasions only. But, if you wish to keep your volume intact for a longer time, you may protect your hair by gushing the section with hairspray. • After finishing to tease the top sections, start styling them the way you would like to. • Finally, smooth out your hair gently with the end of your comb. • Take caution not to comb hard or you’ll spoil the tease. • Combing should be done gently just over the top section of your hair. • You may use shine spray in lieu of sealing the tease for giving it a more polished look. There are few essential points listed below we should keep in mind while teasing the hair to escape causing any harm to the lovely tresses. It is always better to use the teasing comb or a brush over a normal comb. Teasing comb is a long tailed comb having thin tooth. The long tail makes it easier to section off the hair and the thin toothed comb is gentle to tease near the roots. • Use Hair Clips when working with different sections. The hair gets teased best with dirty hair. Yes, you read it right! It is much cooler to create the desired texture when the hair is not washed the same day. Always detangle and brush your hair properly before teasing. This will create a neater look. It is equally crucial to take out the tease and get your hair back to normal. 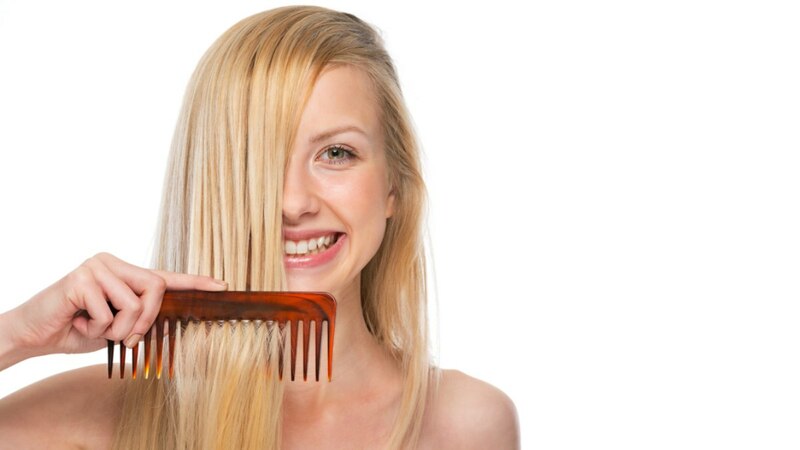 You should invest a good amount of time in detangling the hair style and gently removing the tease with a soft brush. This time, work from end to roots. Teasing may make your hair frizzy. So, reward the tresses with deep conditioning treatments. Avoid using conditioner or any silicone based products if you are planning to create a look using teased hair for a day. Never take shower with teased hair as it will make the hair vulnerable to breakage. Never tease curly or wavy hair. This will tangle them badly with a messy look. You should straighten them before teasing for all the goods. Never tease your hair when it is wet or hot. In the both the conditions, the tresses are in delicate state and may get exposed to excessive damage. Always remember not to tease your hair on consistent basis. Give your hair some fresh breath between the teases. Nice article soni..I ve recently visited a parlour to gt a hair bun made as I Hv too long n stright hair.my hair stylist did a grt job n teasing was one part too.Wat I Luvd abt it was she did tease ol my hair frm crown portion d same way u described BT as soon as she rechd to uppermost last layer (vich ll b visible) she left dt vdout teasng n dt coverd ol my teased hair vd a grt shine left on d top as it was nt teased…so heres d trick.. Hope dt wud b helpful….